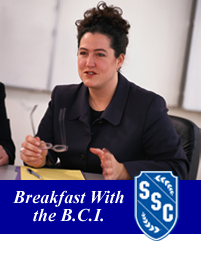 SOUTH HOLLAND, IL – The South Suburban College Business & Career Institute (BCI) presents a Breakfast with BCI Workshop titled Crucial Conversations: The Crisis of Sexual Harassment in the Workplace, on Tuesday, February 13, 2018, from 8:30 a.m. – 10:30 a.m., with check-in and continental breakfast to begin at 8:15 a.m. This workshop will be held in the South Suburban College Main Campus in the MB Financial Suite on the 1st floor, and will be facilitated by Attorney Sonia D. Coleman and Alexandra Glumac, SSC Client Solutions Specialist. What do you do if you experience or witness it? Join us for this frank discussion on a crucial workplace topic. Business owners, C-Suite executives, HR managers, supervisors and employees are encouraged to attend.